What Influences the Spread of Kitchen Incubators? | Econsult Solutions, Inc.
ESI is the only firm to conduct a national assessment of kitchen incubators, surveying about every three years. Our work also includes helping emerging kitchen incubators get off the ground through feasibility studies and business plans. One of the first things we do when organizing our data is map these incubators. We initially thought that kitchen incubators would typically be near areas with dense populations, but adjusting for the number of kitchen incubators per metro area, we found that this was not always true. 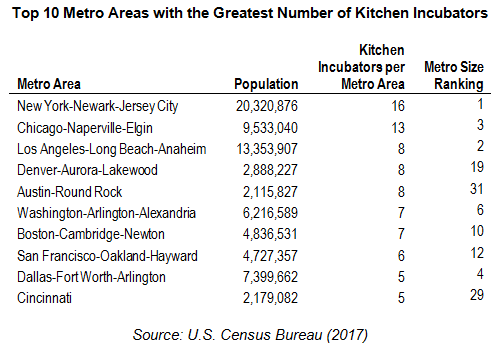 In fact, after the top 3 metro areas, metro areas not in the top 10 by population size have higher densities of kitchen incubators than the more populated metro areas. We were also surprised to see that Wisconsin had a great number of kitchen incubators in the state, despite it not being captured in the metro areas. This finding led to another investigation: where are there clusters of incubators, and what exactly sets off this demand? *Note: This is a non-exhaustive list of kitchen incubators. When we look at the map, we see clusters of kitchen incubators in the top 3 U.S. metro areas, New York, Los Angeles, and Chicago, where the population density and economies makes them attractive to businesses. However, as we saw in the table and map, the population size doesn’t necessarily correlate every time with the number of kitchen incubators. This presents an interesting discussion on the demand factors that led to the growth and proliferation of kitchen incubators in certain cities or states. In this piece, we will explore several known factors that can favorably contribute to the creation of kitchen incubators, such as cottage food laws, popularity of food trucks, and the real estate market. Food produced in a commercial kitchen is subject to certain regulations and food safety laws. Meats must be cooked to a particular temperature, utensils and cooking implements must be washed in specific ways, and other foods must be properly refrigerated. There is a parallel set of laws that apply to people producing food for sale from their home kitchens. Generally, these rules allow chefs to participate in events like local bake sales and provide a way for food entrepreneurs to test out their products before they scale up to commercial production. These laws are known colloquially as cottage food laws and they cover everything from the types of food that can be sold to the location and price at which it can be sold. Cottage food laws are drastically different from state to state and are a major factor in the demand for kitchen incubators. Strict cottage food laws push entrepreneurs out of their home kitchens and into a commercial kitchen or kitchen incubator. Whereas, more relaxed food laws decrease the need for commercial kitchens. For instance, Wisconsin has strict cottage food laws. The state requires that food for sale must be prepared in a commercial space. In addition, Adam Hein, Manager of FEED Kitchens, noted the costly paperwork to operate a food business: “To get licensed, just to get your basic start-up from nothing to being licensed and able to sell a product is about $5,000.” Conversely, there is no cost to start a home-based food business in New York, while for Pennsylvania there is a $35 fee to register. Kitchen incubators, such as FEED Kitchens, not only provide the commercial kitchen space needed for Wisconsin businesses, but help them navigate strict regulations due to restrictive cottage food laws. In this way, a kitchen incubator is not only a place where people can go to use the kitchen, but a place to help new businesses better understand and be compliant with the local regulations. Similar to the regulations of cottage food laws, local and state regulations of food trucks can either foster or restrict the amount of food trucks in an area. Unlike emerging entrepreneurs who could produce their products in a home kitchen, food truck operators typically need more space to prep larger quantities of food. Food trucks can help drive up the demand for kitchen space due to the need for prep space, parking for when they are not in operation, cleanup, and garbage or cooking oil disposal. Kitchen incubators often fill this unique demand due to their ability to offer flexible kitchen space, or have dedicated food truck parking. Food trucks may also have to comply with local or state regulations that require prepping in a commissary space, which are “established commercial kitchens where food service providers can go to prepare and store their food.” For the purposes of this post, we generally include commissary kitchens as kitchen incubators, as they may include informal networks and have an entrepreneurial community that may provide informal business assistance amongst themselves, or from the people who are managing the commissary space. Initially being a simple kitchen space, the role of kitchen incubators has evolved overtime. Food trucks continue to grow across the county, now representing an estimated $2 billion industry, an increase from $650 million in 2008, when its popularity began. The U.S. Chamber of Commerce Foundation recently released a report on the nation’s food trucks, and listed the top 20 cities for trucks based on ease of obtaining permits, compliance with restrictions, and ease of operating a food truck. As shown on the map, there is overlap between the top 20 cities (e.g., Denver, Chicago, and Austin) for food trucks and where there are also clusters of kitchen incubators. Now that we explained these two factors of demand, let’s look at one of the largest factors of supply: the cost to build. In 2015, the average cost to build a small commercial kitchen was $200 to $250 per square foot. The graph below shows the costs to build a commercial kitchen by city, with New York City, San Francisco, Boston, and Chicago among the most expensive cities. The cost to build a commercial kitchen presents a major barrier. Given that kitchen incubators are used by a range of food entrepreneurs, the rents that can be achieved do not cover the cost of construction or debt service, and the equipment needed in the kitchen incubators. This makes it difficult to develop kitchen incubators in some markets, even those that are highly populated and/or have a vibrant food truck scene. From home-based food operations to food trucks, the regulatory landscape dictates the demand for kitchen incubators across the country. As discussed, these have led to a higher number of kitchen incubators (and commissaries) in the Denver metro area and Wisconsin, in comparison to some more densely populated metros. There are several other demand factors we will explore in the future, including the cost to rent commercial kitchen space, the food culture, and exploring factors of supply of kitchen incubators such as cost to construct, which shape the growth or lack of kitchen incubators in an area. We invite you to share ideas with us on what we should study in the comment section below. 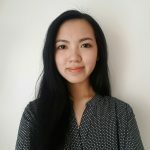 Lily Ho is an Analyst at ESI. She brings a background in data visualization, cartographic design, and spatial analysis. Prior to ESI, she worked as a Project Associate at American Communities Trust (ACT) and managed its Baltimore Food Business Microloan Fund. 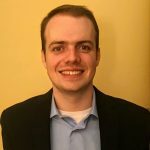 Brendan Coppinger works part-time as a Research Analyst at ESI while working towards graduation from Drexel University. He is passionate about data science and prior to working with ESI worked in software development and website analytics.